2. Pour 4 cups of milk into a pan and bring it to near boiling, then shut the pan off to cool just enough that you can touch the milk and not be burned. 3. Once cooled enough to touch, pour the 1/2 cup yogurt and 2 cups of the milk you heated into a bowl and mix them thoroughly. 4. Pour the mixture back into the pan with the remaining 2 cups of milk. The pan should still be warm. 5. Stir just a few times, not truly mixing the contents together thoroughly, and cover the pan with towels. 6. Store the covered pan overnight in a cabinet or some other dark location. 7. Allow the mixture to firm up into a full yogurt for approx. 24 hours, perhaps less. If the mixture is firm enough then place it in the fridge for eating. If not, leave it covered a bit longer. Leave it out no longer than 32 hours however. 8. 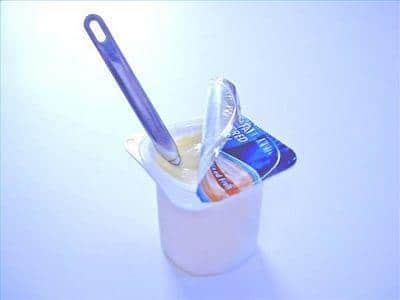 You should now have a yogurt that is very high in lactobacillus acidophilus.